Lots of Firestorm-related items this past weekend buzzing around Twitter! If you’re on Twitter, be sure you’re following @firestormfan! Lots of things appearing there that might not merit a full post here. Thought comics would make me feel better, but then FP: Legion of Doom opens with Heatwave setting Jason of Firestorm fame on fire. In 5,6,8,9, too (don’t know about 4. Not in 1,2,or 3) RT @FirestormFan: Flipped thru DCUO Legends # 10 today and spotted #Firestorm! @DC_NATION ‘s first Retailer Roadshow from @WB_Home_Ent HQ in Burbank CA bit.ly/l9QIsw Great recap from @niftymat ! @FirestormFan Thanks much. Fun book, fun character, & I LOVED working with @JAMALIGLE . @FirestormFan they were amazing. No finished pieces, just the costume sketches. Seeing those puffy sleeves back was great. @ycinar That’s awesome. Are you inking your own stuff on Firestorm? And the big chatter has been for Batgirl, but seriously, Fury of Firestorm is huge. It is a key book in the relaunch, and is full of the kind of world-building we’ve only been seeing in the Green Lantern books, lately.It’s so, so much bigger than we can say yet. Ethan Van Sciver is co-plotter, and it’s a mix of huge concepts and very personal and heartfelt characters. I love it and DC is wild for it. Art is by Yildiray Cinar (@ycinar),who is just an explosive storyteller. He and Ethan are doing designs together. Superhero nirvana. That’s a lot of activity going on for Firestorm! Again, be sure you’re following @firestormfan on Twitter! Posted in: Ethan Van Sciver, Firestorm #08: Brightest Day (Ronnie/Jason), Firestorm #09: New 52 v1 (Firestorm Protocols), Firestorm comic vol. IV, Gail Simone, Stuart Moore, Yildiray Cinar. ← Happy Father’s Day to Jason’s Dad! Newsarama has new art from FoF #1 by Yildiray Cinar! 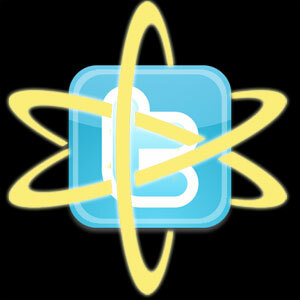 By the way, don’t you just love my Nuclear Twitter logo? I really like the way that turned out. I’m such a dork. “Thought comics would make me feel better, but then FP: Legion of Doom opens with Heatwave setting Jason of Firestorm fame on fire.” Jason was set on fire… what happened? @Spinks – I haven’t read it yet, but it was in FLASHPOINT: LEGION OF DOOM. Since it’s an alternate reality, it shouldn’t have any impact on the upcoming relaunch book.